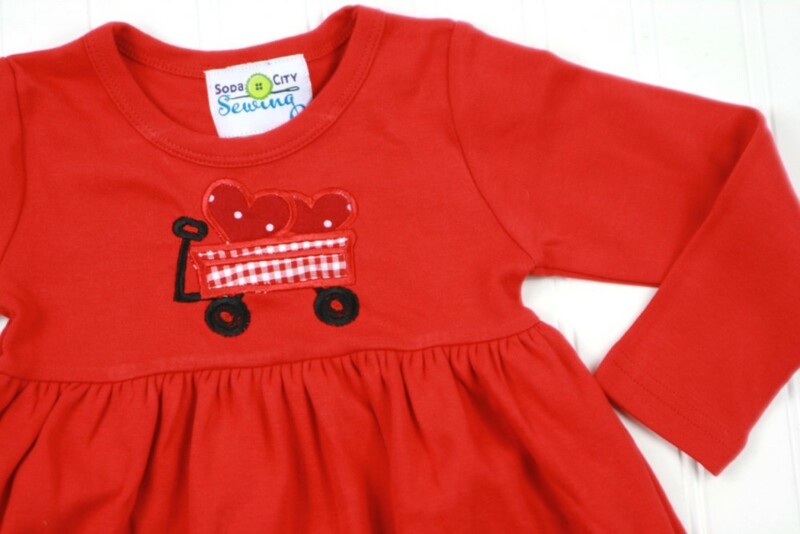 Red interlock cotton dress with a wagon and hearts embroidered on the bodice. Choose to add a name or initials, and then choose where to place them on the dress (Either the bodice or corner near hem). 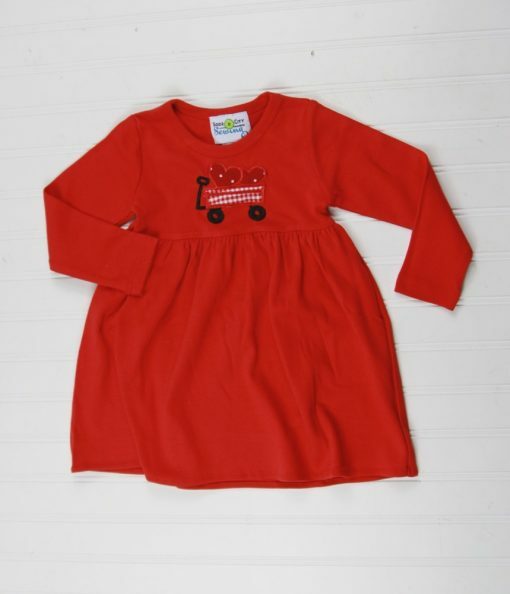 100% cotton dress. Runs slightly big. Our Valentines Day dress is perfect for date night with Daddy, the school party, or occasions all February long! 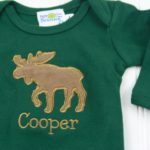 It’s cute with just the wagon, and even better personalized with initials. 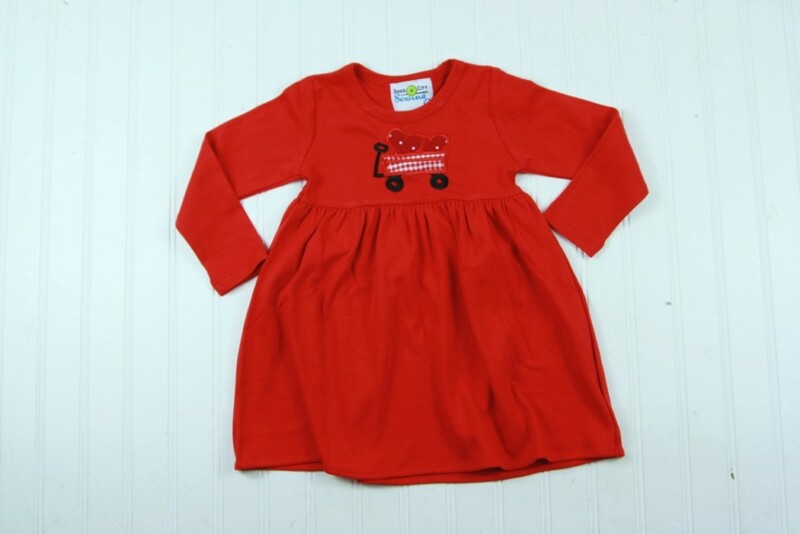 The material is interlock knit, 100% cotton. It’s thick and comfortable with stretch. The gathered skirt and empire waist make it perfect for twirling, and girls find them very comfortable. The dress is completely machine washable so she can wear it again and again! 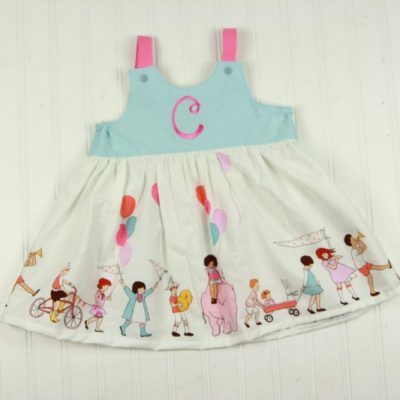 OPTIONS: You can order the girls dress with the wagon on the hem or bodice, or add a name, or initials. The thread color and font you select would be for the name or initials embroidered on the outfit. To get the outfit unpersonalized, select none for thread and font. If you choose wagon and a monogram, let me know which one you’d like to put where in the notes at checkout. FONTS: Font Choices for the outfits are available in the last picture. This girls dress purchased and then appliqued and is shipping rate A. This means the cheapest shipping gets you the outfit within 2 weeks. If you need it faster there are several shipping upgrades available to get it in as soon as 5 days, 1 week, or 1.5 weeks during checkout! 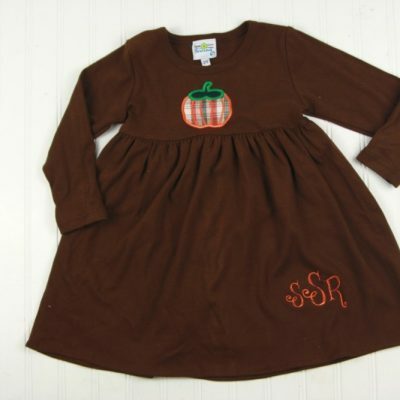 Thanks for visiting Soda City Sewing, where we make customized fall dresses just for you!